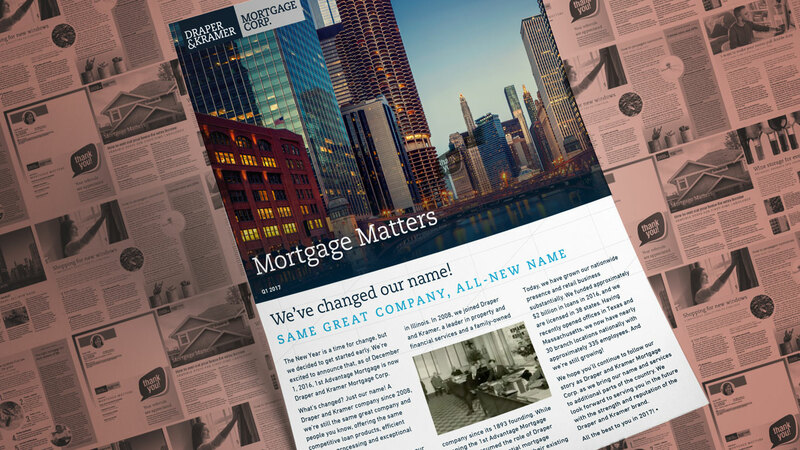 In the first quarter of 2017 1st Advantage Mortgage rebranded to Draper and Kramer Mortgage Corp. 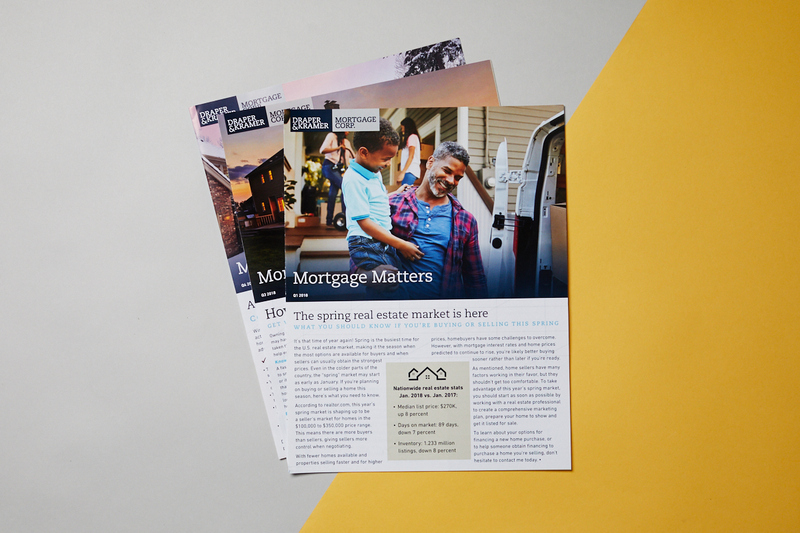 I had already established a structure for the newsletter in a previous design update (shown below), making it easier to rebrand the current newsletter for the new look and feel. 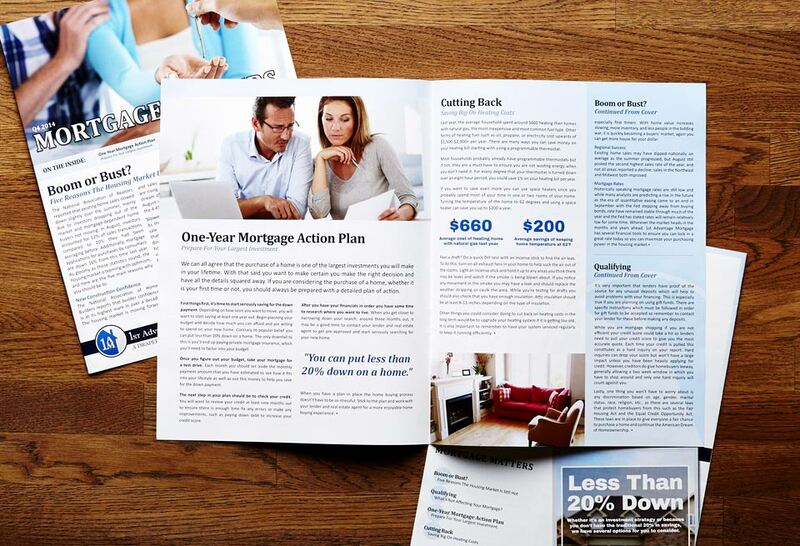 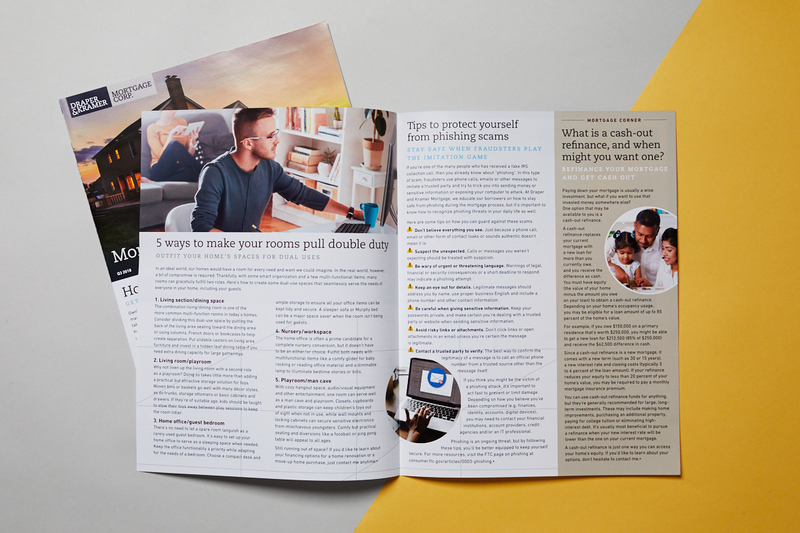 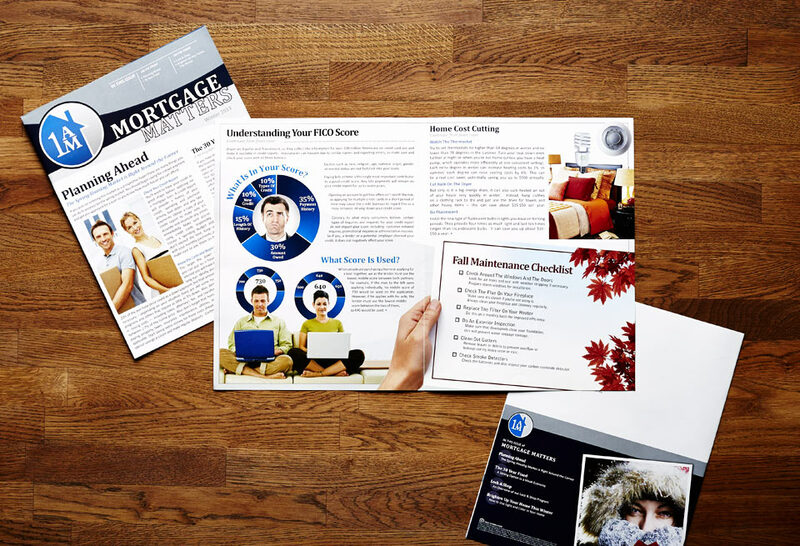 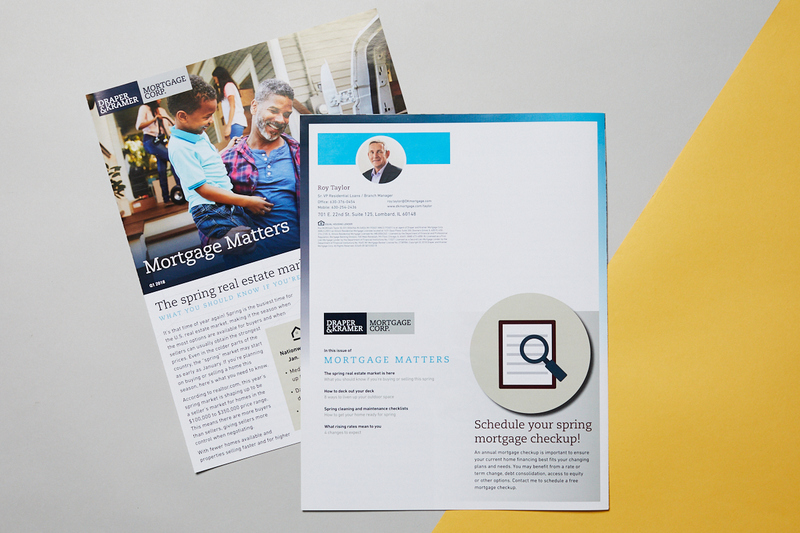 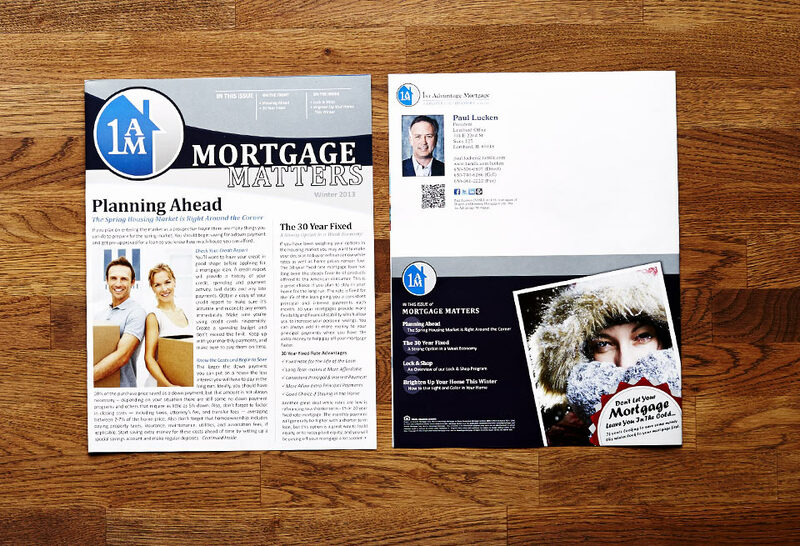 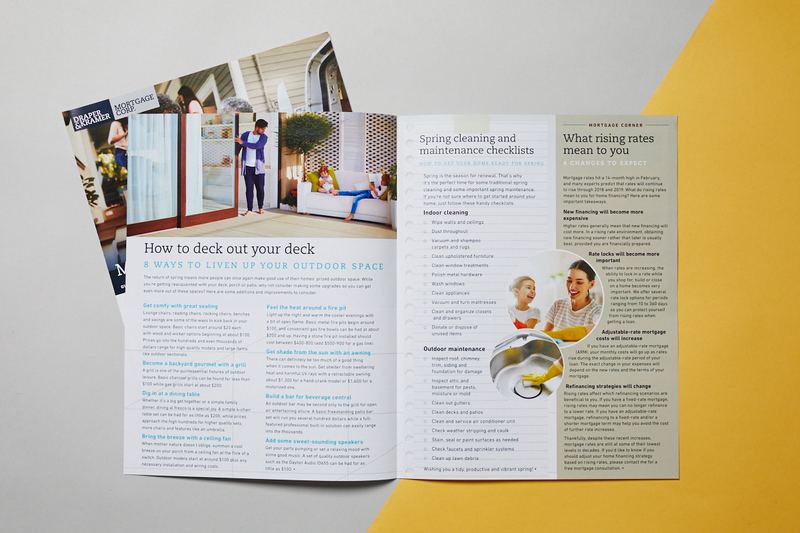 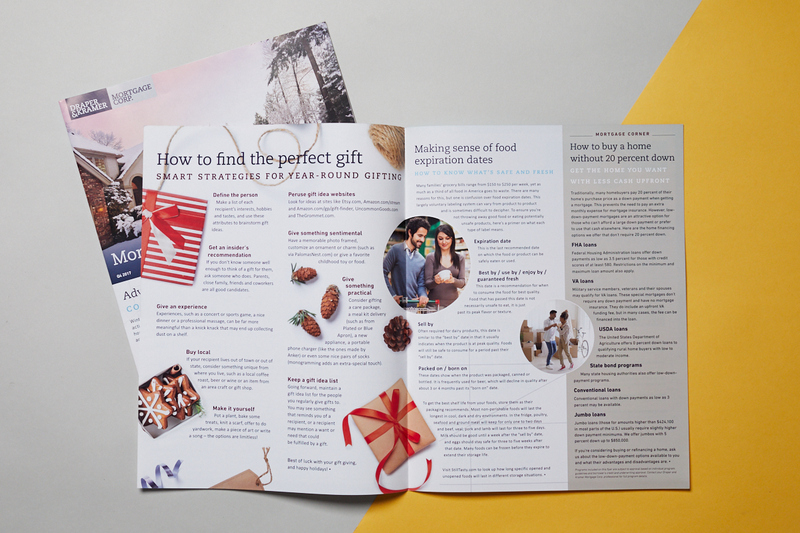 Before transitioning to Draper and Kramer Mortgage Corp. the original printed newsletter for 1st Advantage Mortgage needed a refresh to make it match the company's recently updated style. 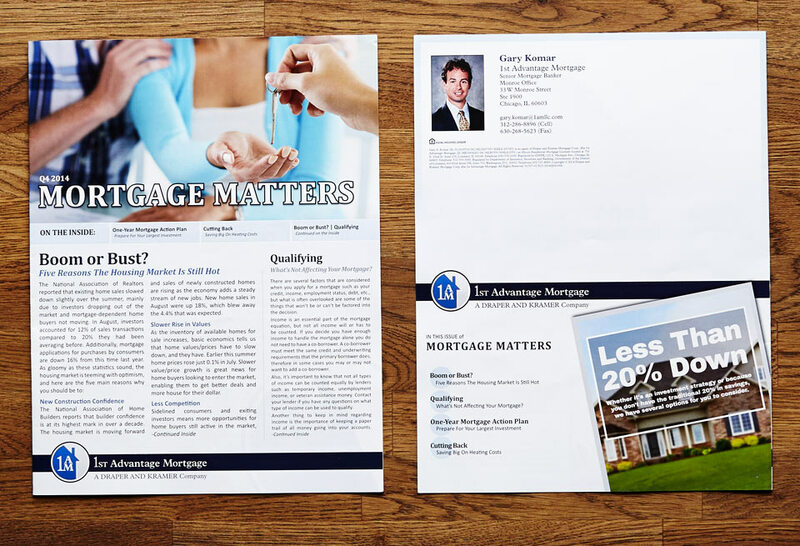 The layout was reworked to bring in more structure.